Pete Martin, the founder of EntryPoint Consulting worked for SAP for over five years. He managed field operations in his region which included sales and pre-sales. His consulting company, which was founded in 2003, resells SAP solutions to US based middle market companies and business units of the Fortune 1000. They focus on SAP CRM, an area where they have a lot of experience. Today mobility is a big issue for his customers. Pete was involved in one of the first mobile SAP CRM implementations. It did not go well. Why? SAP did not have a well defined interface for CRM at that time. There was about five different ways to interface with it and this caused confusion with all involved. SAP did not have a strong mobility roadmap or good guidance at the time. It was a case of you don't know what you don't know. Broadband internet was not widely available and connection and synchronization speeds were slow. The customer wanted to download huge price books and massive amounts of customer data which bogged down the system. The client wanted to replicate their ERP on the mobile devices – not good. After this first painful experience, Pete and his team stepped back and studied the mobility space for about three years. However, in 2009 they lost two SAP CRM sales because they did not have a strong mobile SAP CRM offering. This pain motivated them to jump back into researching good mobile solutions for SAP CRM. Pete says that now 100% of SAP CRM sales prospects are requesting mobile extensions. It is no longer an option. A mobilized version of SAP CRM is a requirement. EntryPoint sells to medium and large companies. They need a solution that can scale from a few dozen users to a few thousand. They needed a partner that could support both of these markets and be priced to work in both. They looked for a mobile provider that had already successfully implemented mobile SAP CRM solutions at a large company. They wanted to see a full production environment already in place. The partner they chose already had a successful mobile SAP CRM implementation with one of the largest global CPG companies. They wanted a mobile provider that was not overly complex. They were looking for a simple and elegant architecture that was easy to implement and support. They wanted to partner with and learn one mobile solution that could be broadly implemented across many different business processes. They wanted a mobile provider that "partnered" well. Some mobile providers are large and small partners get overlooked. EntryPoint wanted a mobile partner that wanted them. The end result was that EntryPoint Consulting selected SAP Partner, Sky Technologies as their mobile SAP CRM partner. They are now confident in telling customers they can have a mobilized CRM in 90 days. Mobility is a big focus for EntryPoint Consulting in 2010. Why? SAP customers are asking for mobile solutions and mobile extensions to their business processes. Sales prospects are all asking for mobile extensions. When EntryPoint Consulting promotes events around mobilizing SAP CRM they get BIG responses. They lost two SAP CRM sales last year because they did not have a good mobile solution provider and plan in place. SAP field sales is asking EntryPoint about their mobile solutions and plans. Pete wants a good answer. I asked Pete what he thought about SAP's current mobility strategy and he said, "In markets where products and technologies are changing fast, it is hard for SAP to keep up. They are simply too big to be nimble. It is best for them to partner for mobile solutions today." In a follow up statement he added, "SAP's sales teams are still a bit confused by SAP's mobility strategy." It seems there is more to be done to evangelize SAP's mobility strategy and plans internally. Pete also shared his thoughts on what SAP sales teams could learn from other CRM vendors. He said other vendors had learned how to sell to mid-level, line of business folks successfully. This according to Pete, is where CRM is sold. SAP sales teams are great at the C level sales process, but have historically been troubled when selling to the line of business. "If the VP of Sales can't connect to the CRM with his/her favorite mobile smartphone, the sale is lost," said Pete. ***Full Disclosure: I am an indpedent mobility consultant and Web 2.0 marketing expert. I work with and have worked with many of the companies mentioned in my articles. I had the privilege of interviewing PriceWaterhouseCoopers' Director of Enterprise Mobility Solutions, Dr. Ahmed El Adl a few days ago. He works out of PWC's Boston office and focuses on developing and expanding PWC's mobility practice. He is a big fan of this blog which instantly increased his credibility with me. Ahmed worked for SAP in Waldorf from 1998-2002 and focused on SAP's CRM solutions. In fact he was involved in one of the very first mobility projects for SAP CRM. At that time SAP's architecture was simply not suited for mobility and it did not go well. Ahmed said that a lesson learned from that first mobile SAP CRM experience was not to let sales and marketing completely drive design and engineering. The engineers developed everything that the marketing teams asked for, but the result was a mobile application that was far too big and heavy to work for customers. Ahmed is a fan of SAP's current mobile strategy of working with many mobility partners. He believes SAP should slow down and focus on defining the mobile connectivity layer and open up their system for more nimble and innovative mobility partners to provide mobile applications. Mobility is evolving very fast and it is hard for a giant like SAP to effectively keep up. By opening up to mobility partners, SAP customers can get what they want now without waiting for SAP.Ahmed is the kind of consultant I would want to hire. He has experienced the good and bad of early mobility adoption and brings great wisdom to the table now. Although Ahmed agrees with SAP's current strategy and likes what he sees from many of SAP's mobility partners, it doesn't mean he is satisfied. He believes Sybase, an SAP mobility partner, is good but complex, heavy and has too many different components and technology layers. He listed the numbers of technology layers that are involved in a Sybase/SAP integration and it was daunting. He shared his thoughts on Sky Technologies, another SAP mobility partner. He thought their approach was interesting, but he was concerned that their "mobile SAP innerware" strategy would introduce challenges. He wondered how IT departments would accept a third party mobility solution being so closely embedded with SAP code? Would the benefits out weigh the risks for IT departments? Would they accept it, or avoid it? He said he likes much of what he sees from SAP's mobility partners, however he is still cautious. In fact, he has recommended to some clients that they should go through a complete RFI process to determine for themselves which vendor has the best fit for them. Ahmed believes that ultimately SAP customers will want a strong MEAP (mobile enterprise application platform) that they can standardize on, but for today mobile micro-apps can provide real value quickly. I was particularly interested in this statement as it aligns with many of the comments that other industry experts shared on the SAP Enterprise Mobility group on Linkedin. The Apple iTune model for app stores that allows small companies to compete against the big software companies. He loves the idea of unlimited innovation, on a level playing field, and that one person software companies can help large enterprises increase productivity. I asked Ahmed what mobile device or smartphone does he carry. He said all of them. He carries a PWC issued Blackberry in his pocket, but he literally travels with a suitcase full of different mobile devices that he can show off and demonstrate to clients. What a nightmare for the TSA agents! Don't get in line behind him. I want to again thank Dr. Ahmed El Adl for his time and willingness to share his insights. I am mostly nice on this blog, but come on Sybase!!! What were you thinking with this report, "...Sybase has announced the results of a survey on mobile device usage, commissioned by Sybase and conducted by Zogby International. The survey, which was compiled from an online survey of 2443 adults with a mobile phone, 770 of which own smart phones, uncovered that the #1 reason U.S. consumers would use a device such as the Apple iPad is for "working on the go." Sybase, the next time you want to commission such an in-depth report please call me. I will conduct it for at least 10% less than Zogby International and come up with the same findings. More, "...the study demonstrates that consumers want more access to information and work applications on their mobile devices." OK, with that level of analysis, perhaps I would need to add another 5% to my proposal. I looked up the definition of the word snarky. Sybase's report makes me feel that way. If you want to hear the word snarky, click here. Remember to join the SAP Enterprise Mobility group on Linkedin if you are interested in real expert advice. I had the pleasure of interviewing Nokia's John Choate last week. He is working in the Augmented Reality (AR) space for mobile applications at Nokia's office in San Francisco. Isn't that a cool area to focus on? John's title is PMO 2.0. (Program Management Organization), and he works with the hardware and software sides of the Nokia business to bring them together and to define new technologies and solutions. A funny side note - Nokia's offices are so high in an office building that their phones have a difficult time getting good reception and Nokia employees only use mobile phones. As a result Nokia employees are running around the office trying to find good reception. I must add that any mobile phone at that altitude, at that location, is likely to have the same challenges. It was just a reminder that there is more work to be done and that disconnected mobile smartphone applications are still needed, even in downtown areas. Can you image a field service technician trying to enter his mobile work order on a smartphone application that is dependent on real-time connectivity in that office? Let's get back to the interview about Augmented Reality with John. Augmented Reality is described as a live direct or indirect view of a physical real-world environment whose elements are augmented by virtual computer-generated imagery or data. Nokia's Point and Find solution is one of those solutions. With Point and Find the user can point the camera phone at an object and snap a picture. The picture combined with GPS coordinates immediately identifies the object and displays information about it. Point and Find is not just for buildings and landmarks. The user can snap a picture of a movie poster and information about the movie, nearby theaters and run times is presented. In addition, you can snap a photo of a 2D bar code and product information will appear. Nokia also supports video as well as digital photos with Point and Find. AR is fascinating to me. Different movie posters can bring up different information. The posters are recognized and different data is found. For example, the same poster in London, because it is associated with a GPS coordinate, would bring up different information than the same poster in New York. Slight graphical differences in a poster or sign could tell the Point and Find application to display different information. Your real-world reality can now be supplemented by historical facts, nearby businesses, crime statistics, favorite restaurants and anything else you can image. This is crazy powerful stuff to ponder. I wrote an article last year called Network-Centric Field Force Automation on how the military is using similar technologies in their network-centric warfare strategies and how field services could learn from it. John and his colleagues at Nokia have many amazing ideas on how this can add value to the hospitality, retail and travel industries to list a few. For example, a sports tourist spends five times more than a general tourist. It is a demographic that businesses would like to target. How can this be done using AR...use your imagination. A Nordstrom shopper could simply snap a photo of a Nordstrom store and information about their favorite products, their locations and prices could pop up in AR. Perhaps the application could alert the Nordstrom attendants that a premium shopper had just arrived. John used terms like "buying a world" in our discussions. A business could "buy a world" in the Point and Find solution and decide what to put in this AR world. Do they want to load this world with historical facts, crime statistics, tourist locations, hotels and restaurants? The owner of this "world" could add as many layers of information as they desired. They could identify the underground electrical lines, sewage systems, accident statistics, health inspection reports of nearby restaurants, tour packages or simply point to a Starbucks. I appreciate John opening this AR "world" to us and introducing us to Nokia's Point and Find. If you are involved in or interested in SAP related enterprise mobility, then you are invited to join the Linkedin group SAP Enterprise Mobility. A few months ago I started an article series called "Advice for Mobile Start-Ups." These articles are spread out over a couple of months and mixed in with several other series, so I have created this index to make them easier to find. Advice for Mobile Start-Ups: You are a Publishing Company Like it or Not! If you haven't already joined, I would like to personally invite you to join the Linkedin Group called SAP Enterprise Mobility. It is for everyone involved in mobility projects and mobile solutions in and around SAP. In addition, if you have an enterprise mobile software application or service that integrates with and supports SAP, please add your solution to the SAP Enterprise Mobility solution directory here so we can share your information with the group. I provide executive and marketing workshops for mobile start-ups in the enterprise mobility industry. If you are interested in learning more please contact me. I had the pleasure of interviewing two mobile experts this week, Jane Glendon and her daughter Keelin Glendon. Jane founded her mobile software application company, HotButton Solutions, http://www.hotbuttonsolutions.com/index.html, in Calgary, Alberta in 2000. HotButton Solutions focuses on mobile field data collection applications for the oil and gas industry. The focus is deep, as in deep mud and snow. Jane and Keelin have a lot of great stories to tell about selling and supporting mobile applications in the wilderness. I learned that moose gather on the roads to lick the salt, bears like to scratch their backs on oil well heads and a rugged handheld computer screen only survives 4 whacks with a hammer and nail to break. I also learned that northern Canadian oil workers have been known to express their dislike for new technologies by throwing ruggedized handheld computers into a moving compressor fan (it still worked), and that clever oil workers customize mobile applications to keep track of animals and game they see along the road in preparation for hunting season. One particular oil well inspector developed a golf course along his oil well inspection run/path. This is the kind of work for me! HotButton sales calls often require taking an airplane to a remote northern airstrip and renting a 4x4, or driving 9 hours through the wilderness to train oil patch workers on mobile applications. Keelin, who does much of the onsite training and sales calls in the cold northern oil patches of Canada considers mud, snow, seasons and storms before booking her travel. Before driving to some locations on remote one-way roads, Keelin must radio ahead to warn oil tankers coming down the mountain. Jobsites have buildings with names like the doghouse, compressor shack, dehydration building and field office. These buildings have been known to collect bullet holes during hunting seasons. Stray dogs are known to make oil camps and field offices home and co-habit alongside the local bears that are given pet names by the workers. The working conditions are often cold, dark, wild, isolated and surrounded by flammable fuels. Keelin brings rubber boots along on her visits. There are more moose than people and IS - Intrinsically Safe ruggedized handhelds are required. These are devices developed to function safely around flammable environments. That means no mobile phone capabilities. I guess mobile phones can ignite fuels… I learn something new every day. For the most part the ruggedized handheld computers are docked in the job shack to synchronize the collected data with the home office. How do they know when the weather is too cold for the handheld computers to function? When the oil patch worker freezes. One example of the importance of having real time data visibility is a recent incident where the oil production volumes reported to the central office did not match the delivered oil volumes. The central office activated an alert and the oil patch workers were ordered to look for an oil leak. One of the field workers quickly checked his handheld and found the missing oil volume sitting on a tanker that was preparing to depart. The alert was canceled and everyone went back to work. HotButton's mobile data collection software application is called HotLeap and includes a Universal Data Translator, Staging database, Bullseye and OrgAdmin. Jane has even received a patent for her technology. It is designed to work with Windows Mobile and Windows CE devices. One mobile client application can support dozens of different oil field applications and business processes from one common menu on the mobile handheld. These mobile data collection applications most often sync to multiple database applications in the back office. There is deep vertical expertise and experience built into these oil patch applications that is relevant in both Canada and in the USA. Jane's next step, as a mobile software entrepreneur, is to find a larger software company that can help them go global through a partnership or possibly by acquiring them. She says her global oil company customers love their mobile applications but prefer a vendor with a global presence and more resources than HotButtons has today. This article is the first in a series of interviews with mobile industry experts. If you have a mobile expert or unusual character that you would recommend for an interview please contact me. The next article in this series is called Nokia's John Choate. He works in the mobile Augmented Reality and Mixed Reality programs at Nokia. Yes, it is as interesting as it sounds...stay tuned. On the website Managing Automation, http://www.managingautomation.com/maonline/ they have an article this week by Stephanie Neil called Scrutinizing SAP's Mobility Strategy. Here is an excerpt, "... a quick search (on the SAP EcoHub) for ‘mobile infrastructure’ brings up Sybase, Antenna Software’s Concert development platform, and SkyConnect from Sky Technologies... I question whether or not SAP needs the same broad base of partners in mobility as it does in manufacturing. Most manufacturers are just starting to implement a wireless strategy, and since it is untapped terrain for them, they may just want a turnkey solution from SAP, not a menu of choices." This is an interesting perspective. Neil seems to suggests that many SAP users (at least in manufacturing) would prefer just one designated turnkey SAP MEAP (mobile enterprise application platform) and that having a plethora of partner selections is not necessarily useful. The challenge I have with Stephanie's comments is that I believe she underestimates the number of mobile applications and their complexity. Different mobile applications and mobile business processes require different workflows and expertise that may not all be present in one mobile software vendor. It will take a number of years before mobile applications support many of the more niche business processes which is why there is a need today for many industry experts to supply mobile applications. Neil concludes with the following, "...SAP’s next move should be to acquire a mobile infrastructure vendor upon which it can build a stable of wireless applications that fit into its — and its customers' — long-term mobile enterprise plan. The company can continue co-innovating, but it needs to lead the effort. SAP has a rare opportunity right now to shape an emerging market." I will dodge the acquisition issue, but I agree with Neil that SAP should take the lead. 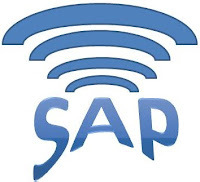 I believe SAP users would ultimately benefit from a standardized methodology for connecting mobile devices to SAP and managing these connections. Thanks Stephanie for a thought provoking article. If you are one of the plethora of mobile application vendors supporting SAP users, please make sure you add your solution to the SAP Enterprise Mobility directory so others can learn about you. SAP has much to gain from mobile enterprise applications. They can expand their user base beyond the current white collar workers in the office to the mobile workforce in the field. This has the opportunity to exponentially expand the number of people directly connected to SAP's applications and benefiting from them. SAP is also seeking ways to expand connections to consumers in a B2C (business-to-consumer) model. This could expand the numbers of mobile users even more. Examples may include consumers requesting product orders, shipment tracking and customer support via mobile devices. The challenge SAP needs to solve now is how to make money from these additional connected users on mobile devices. I believe it is fair for SAP to be paid for providing value to more users. Is extending SAP functionality to the mobile workforce worth the price of a full SAP user license, one half of a user license, one quarter? What do you think? That is the SAP challenge. SAP's mobility partners like Sky Technologies, Sybase, ClickSoftware, Vivido Labs and Syclo all make money from selling software licenses or monthly subscriptions (SaaS) that enable the user to integrate and benefit from connectivity with SAP. It seems reasonable that SAP should also benefit from adding value to the mobile users. I expect there will be additional support requirements if an SAP customer doubled or tripled the number of users by extending mobile connectivity. Mobile micro applications (light-weight mobile applications) that are purchased and downloaded from locations like Apple's iTunes make money for Apple and the software developer. Where does SAP fit into this revenue stream? Do mobile micro-apps pass on less revenue to SAP than a thick mobile client that can run in either a connected or disconnected mode. How does SAP monitor and charge for mobile devices accessing its software? Where would the transaction gateway reside? This is going to be an interesting challenge for SAP. Please comment and share your thoughts on what models would work best and are justified. Don't forget to join the SAP Enterprise Mobility group on Linkedin, and please make sure your enterprise mobility solution is listed in the SAP Enterprise Mobility solution directory. Would you use Linkedin if you had to make a phone call and ask each person individually if they were using Linkedin before connecting to them? What if you had to manually program each connection yourself according to the mobile operating system and version each friend or contact was using? What if the programming was different for every mobile device? What if you had to re-program the connection every time a friend changed smartphones or upgraded their OS? The system would quickly cease to be a benefit and start being a big burden wouldn't it? The value of Linkedin is that it automates and standardizes most processes and connection related issues. Everyone connects in standardized ways and uses pre-built processes to manage all of their connections, security, settings, etc. It is easy to view all of your contacts and manage these contacts from one screen. Enterprise mobility and the support of mobile devices needs these same kinds of concepts in place. Enterprise mobility, like most IT systems, need standards that include defined methodologies and processes in order to manage it effectively and efficiently. If your company or client has hundreds or thousands of smartphones, handheld computers or other mobile devices using mobile applications, thick and thin clients, MEAPs and micro-applications, there is an absolute requirement for mobile device management. If they don't, it will be a big challenge now that will only get bigger. In the same way that the IT department needs to record and manage all desktops, laptops and servers and the software licenses and security on each, they will need to do the same for mobile devices that are used outside the four walls of the enterprise. How is it done today? Many companies allow their employees to select their own smartphones and expense them each month. The company has no visibility to the specific mobile devices, operating system versions or downloaded mobile micro applications until they receive a request to connect it to the ERP or other back office applications. At that point it becomes an SAP challenge. Is this a challenge that should be addressed in SAP, or is this a challenge that SAP's mobility partners like Sybase, Sky Technologies, Syclo or ClickSoftware should address outside of SAP? There are experts that specialize on mobile device management like B2M Solutions. They focus on the complete mobile project life cycle and provide management tools for each component of this life cycle. IT asset management, the IT help desk, IT support, IT security, etc., must all embrace mobile devices and enterprise mobility and quickly set-up their internal systems and processes to support them. On the subject of IT help desk, this is my favorite funny YouTube video on help desks. I would like to hear your thoughts on how your company or your customers manage mobile devices. In the comment section of the article SAP Mobility Challenge, Part 4 there is an interesting discussion that I wanted to highlight for those that may have missed it. I agree about the small custom mobile solutions for small number of users. Usually such projects have high ROIs based on the urgent business needs. However, this is what happened in the past 10 years in the absence of a successful SAP mobility strategy and solutions. Currently, companies look for company wide mobility strategy which covers most of the departments, or at least covers the main mobility requirements of the main business areas, which need it and prove to deliver high ROI. Based on different market researches and my own daily experiences, the trend is MEAP-based mobility solutions for mid and large size companies. Small companies still have the choice to continue using non-MEAP solutions like Sky Technologies. Based on the definition of MEAP, vendors like Sky technologies don't deliver that category of mobility platform. MEAP requires middleware for many obvious reasons such as composition, data orchestration, performance... Instead, Sky delivers "innerware", which can be installed inside SAP, based solutions for SAP. I admire Sky products for small companies. However, to get rid of the big troubles we had and still have on business mobility market, such companies will either have to merge with MEAP vendors or focus on small businesses, which are usually not the main group of SAP customers. You make some interesting points with regards to MEAP vendors, and I'd like to take the opportunity to discuss a little the Sky Technologies "inside SAP" approach to this. Although the Sky Technologies solution is delivered and implemented “inside SAP” this does not mean that the functions of the MEAP vendor middleware platforms has been ignored. Using the “inside SAP” approach the Sky Technologies technology enables all of the key functions you describe (composition, data orchestration, performance, etc) to deliver SAP mobile solutions to global enterprises. This has been proven out over and over by the large number of global mobility deployments and customer references currently using Sky Technologies. These large enterprise implementations understand that being “inside SAP”, the deployment, implementation cycles, ongoing maintenance and support are greatly simplified and lead directly to lower cost of ownership and greater return on investment. I’d also like to take a moment to talk about “the middleware” requirements of the other major SAP mobility vendors. If we were honest the word “middleware” should be used in a plural form. These vendors require a highly complex landscape of middleware-upon-middleware in order to function. Not only do you have to implement the vendor middleware platforms, but this then has to be integrated with SAP via the SAP DOE Middleware platform. This leaves the mobile user many steps removed from the SAP process being mobilized. By definition these other vendors mobilize their own middleware, with all of the associated duplication of business processes and rules in the middleware layer, and then attempt to integrate with SAP. In effect there are now at least two versions of the truth in respect of the business processes being mobilized. Sky Technologies maintains a single version of the truth - SAP, and truly mobilizes SAP. Please add your thoughts and comments to this thread. There are literally hundreds of these micro-apps possible. The challenge is how does a SAP customer manage them? Does the mobile user really want 17 different little SAP micro-apps on their smartphone? I see these mobile micro-apps as short term innovations that will quickly consolidate into a mobile enterprise application platform (MEAP). The SAP user ultimately wants one icon on their mobile dashboard not 17. This icon launches a menu system that can include 17 menu options with mobilized business processes. More options can be added through an opt-in function. Rapid application development environments with excellent visual design tools for customizing and creating new mobile enterprise applications. Powerful integration tools for connecting and synchronizing with a variety of backend database applications and environments. Mobile user and mobile device management dashboards and tools for the IT help desk. Support for all the major operating systems and popular mobile devices. Integrated workflow engines that enable business processes and workflows to be extended out to mobile environments. Let's think about the IT decision making process. Mobile workers may be using mobile micro-applications from 9 different mobile software vendors. There will be much overlap in features and functionality. The IT department will eventually start standardizing, consolidating and simplifying. It won't be long before the IT department starts requiring all mobile micro-applications to come from one or two MEAPs that have good frameworks and offer solid enterprise quality features. Getting SAP approval and partnerships in place. Developing many mobile micro-applications to cover the simple and niche requirements and preventing other companies from gaining a mobility foothold within the SAP ecosystem. Gaining thought leadership, mindshare, influence and brand recognition quickly within the SAP customer base. Educating the market on the requirements for a true enterprise quality MEAP. Pricing their solutions to gain market share quickly - this is a viral marketing event. Defending against a strategy of mobile chaos within the enterprise. Providing a roadmap and strategy for an orderly and quickly expanding enterprise mobility strategy. Arguing that any developer can develop a mobile micro-application, but only the experts can develop an enterprise quality MEAP. The current strategy for most MEAPs seems to be to mobilize a vertical SAP business process quickly and then expanding in all directions. That means the current SAP MEAP partners are and will be colliding. Let the sparks and fun begin! There are a number of additional companies like Pyxis Mobile and Vivido that are moving into this space and many systems integrators with their own emerging mobile micro-apps and MEAP strategies. It will come down to enterprise quality MEAPs, thought leadership and mindshare. If you are interested in discussing these topics in more detail or scheduling one of my in-depth two day workshops on these subjects please contact me. ***Full Disclosure: I am an independent mobility consultant and Web 2.0 marketing expert and as such I work with, and have worked with, many of the companies mentioned in my articles. I have been involved in managing enterprise mobility projects for many years and have noticed some trends. The largest number of mobility projects within a company are not large enterprise wide projects but smaller departmental and business process specific projects. These often involve only 25-100 users. I have also been involved in projects with 500-3,000 mobile users as well, but there are far less of these. The small size and specific requirements of these smaller mobility projects cause many SAP mobility partners serious challenges. If the mobile application development project costs $500,000 USD to develop and deliver, then it only takes $167 per mobile user in savings and cost efficiencies to achieve a positive ROI if you have 3,000 mobile users, but $20,000 per mobile application user in cost savings and efficiencies if you have only 25 mobile application users. This makes it difficult for many MEAP and mobile application vendors to deliver a good ROI for small customized projects. Most mobile application or MEAP vendors focus on the $500,000 and higher projects. That leaves most enterprise mobility projects with limited options in the SAP ecosystem. This is a challenge for mobile application vendors and the companies that require smaller customized mobility projects, but it is a big opportunity for mobile application and MEAP vendors that can figure out how to deliver these smaller customized projects cost effectively. Some of SAP's mobility partners have solutions primarily designed to mobilize their own business applications, not custom SAP user requirements. It is the hundreds of smaller business processes that often fall between the cracks and cause the biggest challenges. Sky Technologies is one of the Certified SAP mobility partners that provides a MEAP (mobile enterprise application platform) that can address the customized and often smaller business processes and mobility requirements easier than others. ClickSoftware is also vying for this role. **Full Disclosure: I am an independent mobility expert and Web 2.0 market expert and as such I work with, and have worked with, many of the companies mentioned in my articles. I was speaking to one of my friends at SAP this week who mentioned that only 5% of a typical SAP customers' workforce is "white collar." What is the significance? That same 5% also happens to be the SAP users in a company. SAP is looking for mobility partners to address the mobility needs of the 5%, but also to reach beyond to the 95% that are not currently SAP users. I also spoke with the former CEO of SAP North America, Greg Tomb last week about his new mobility focus. His new venture, Vivido Labs has a mobility offering called the Mowego Suite that will target both the 5% and the 95%. Initially they will focus on the 5%, because although these users are benefiting from their SAP investment, they are just scraping the tip of the iceberg when it comes to the additional value they could be extracting from SAP. Tomb views providing additional value to SAP customers through mobility as a key goal for Vivido Labs. "They [SAP customers] all have smartphones and they have made significant investments in SAP," says Tomb. Mobile business applications can extend SAP solutions outside of the cubicles (where the 5% sit) into the warehouses, manufacturing floors, plant maintenance environments, field operations, job sites and customer locations where the additional 95% work. Vivido Labs has ambitious plans to develop over 30 different mobile applications that will work in real time and be integrated with SAP environments. These mobile applications will be light weight applications that are focused on real-time connectivity and direct integration with SAP via webservices or other SAP centric approaches. This is different from some SAP partners that focus on mobilizing their own third-party business applications first and then integrating with SAP on the backend through a traditional integration scenario. Vivido Labs has close relationships with many SAP systems integrators and they believe the Mowego suite will be a popular choice in this channel as an enterprise mobile business application platform. Systems Integrators represent a significant sales channel for SAP. Systems Integrators often have resources assigned to various SAP upgrades, integrations, customization and development projects onsite at a SAP customer's location. Often it is the systems integrators who first hear of upcoming sales opportunities and business requirements. SIs are very interested in SAP enterprise mobility (there is even a new Linkedin Group called SAP Enterprise Mobility) as it is seen as a major growth area. Here in lies the challenge. Since as was discussed in Part 2 of this series, different groups within SAP are providing different mobile solution recommendations, the SI is going to be frustrated. They want to know specifically what mobile solution is recommended and where they can offer value by implementing it. The SI is not going to train on all possible SAP mobility solutions. They want to get trained on a mobile solution that has the maximum reusability across as many different SAP customers and business processes as possible to keep their costs as low as possible. They will not want to learn one mobile solution for EAM (enterprise asset management), another for workforce optimization and another for mobile CRM, etc. Systems Integrators will want a MEAP (mobile enterprise application platform) that they can use broadly to design, develop, deploy and support mobile extensions to existing SAP business processes. In addition, once you start supporting field operations outside the four walls of the enterprise it is common that companies have unique business processes in place. Often these processes, methodologies and techniques provide competitive advantages. If the SAP customer wants to continue these practices then a customized mobile software application for field operations will be necessary. This necessitates a MEAP that can be used by the SI to develop powerful customized mobile applications. Another challenge is that some of the mobile solutions recommended by various groups in SAP are focused on mobilizing the vendor's specific business applications and supported business processes, not necessarily SAP. You may have an architecture like the following, SAP=>Vertical Application=>Mobile Solution. This may be effective for the vertical application vendor, but does not help the system integrator that wants a MEAP that can be used widely across the entire SAP environment where there are a multitude of business processes and customization requirements. This group is dedicated to the discussion of enterprise mobile applications in SAP environments and networking with other professionals engaged in SAP mobility strategy. This article continues the discussion started in SAP Mobility Challenge, Part 1. In the following excerpts from press releases issued by SAP's partners you can see that SAP understands and appreciates the significance of mobile applications in field service management. How does that appreciation translate into recommendations for SAP customers? First let's look at an excerpt from a press release issued by SAP/ClickSoftware and a quote from the SAP Solution Management group. "There is growing demand in the market for more comprehensive field service management that incorporates decision support and optimization," said Tobias Dosch, senior vice president, Suite Solution Management, SAP AG. "Our relationship with ClickSoftware is a prime example of how SAP meets specific customer needs by leveraging our partner ecosystem to complement and extend SAP solution offerings." SAP will resell ClickSoftware's ServiceOptimization Suite as the SAP® Workforce Scheduling and Optimization application by ClickSoftware, helping customers meet the challenge of optimizing the mobile service workforce. SAP Workforce Scheduling and Optimization helps customers to automate real-time proactive and reactive decision-making. Having the ability to act in real time on data from the field and produce optimal decisions for resource allocation and job scheduling can help SAP and ClickSoftware customers obtain the benefits of implementing a comprehensive service optimization solution. Second, let's look at an excerpt from a press release issued by Syclo. "Syclo…announced an agreement centered around co-innovation with SAP AG to deliver mobile applications that enable maintenance and service technicians access to SAP® Business Suite software from a broad range of devices regardless of connectivity. They are designed for work order execution, operator rounds, time/attendance tracking and materials management. "The cooperation with Syclo enables our customers to increase the productivity of maintenance and field service technicians by connecting them to SAP Business Suite for work order or service order execution, operator rounds and materials management," said Dieter Hässlein, vice president, Solution Management for EAM, Sustainability and Mobile. Thirdly, let's consider the SAP/Sybase announcements. In March 2009, Sybase and SAP announced a strategic Co-Innovation Partnership to extend SAP to mobile workers on a wide array of mobile devices… "Our customers demand mobile access to proven business applications to stay connected to their customers, suppliers, partners and employees to drive innovation and productivity," said Bill McDermott, president, Global Field Operations, and member of the SAP executive board SAP AG. "SAP is committed to helping customers adapt to business change and optimize the value derived from our leading solutions and extensive partner ecosystem. Working together with Sybase, we will provide the modern mobile workforce with the tools they need on the device of their choice, which will enable faster time to value, through access to business functionality anytime, anywhere." The three press release excerpts above show that three different SAP groups (SAP Suite Solution Management, Global Field Operation and SAP Solution Management for EAM, Sustainability and Mobile) are recommending three different mobile solutions for the mobile workforce. I can tell you from experience that many mobile business processes such as field services management are very similar across industries. The challenge here is which application does the SAP field sales team recommend to SAP customers? Should SAP customers buy different mobile solutions and different mobile clients for Asset Management, CRM and field services operations? Last week I received a SAP EcoHub announcement of a webinar called, Defining Your Mobile Strategy. In it, SAP's Certified Partner Sky Technologies discussed the value of using one MEAP (mobile enterprise application platform) to organize and manage all mobile business processes from within an SAP environment. Here is yet a fourth mobility alternative promoted from within SAP's partner website. I am still pondering the question I asked in Part 1 of this series - from a mobile technology and IT management perspective, does it make more sense for SAP to have one MEAP (mobile enterprise application platform) that best integrates and supports SAP's underlying architecture and product roadmap, rather than recommending the mobile applications from multiple partners? Can you image the challenges you would face if you were the IT manager of an SAP customer responsible for dozens of different mobile applications, using different mobile middleware, different security methodologies, different application development environments, etc., for each business process? Yikes!! I am very interested in watching SAP's emerging mobility strategy as it matures, evolves and morphs yet again. I am not critical; this is how all of mobility is these days. Four years ago we were all using the term Palm, Pocket PC and PDA. Now we are speaking of iPhone, Android, RIM and iPads. Within these different technologies are literally hundreds of different mobile applications and mobile extensions that can add value to SAP's ecosystem. I have been seeing a lot of activity in this space. I have seen SAP partnership announcements with RIM (Blackberry folks), Sybase, Sky Technologies, Syclo and ClickSoftware. I have seen SAP comments from many different industry and solution groups within SAP related to mobility. What I believe is particularly challenging to SAP is trying to determine if mobility is an extension of an industry business process, or an integrated technology platform. Let me provide three examples of the challenge – work order management is both a back office solution and a mobile client (work orders are dispatched to mobile handheld computers in the field that are carried by the service technicians). Likewise, asset management involves both back office solutions and a mobile client (inspectors, facilities managers, plant maintenance teams and service technicians use mobile clients). Route/Sales management also involves back office solutions and mobile clients (route sales people track sales, inventory, delivery and promotions on mobile devices). So are the mobile applications/clients part of the work order management, asset management or route management categories or do they justify an integrated SAP mobility platform? What do you think? I image this is a very complex and difficult discussion within SAP. SAP has selected specific partnerships within different industry verticals. These partners are often producing their own mobile applications to extend the capabilities of their solutions; however, these mobile solutions may in fact not align with SAP's overall mobile platform strategy. From a purely technology perspective, it may make more sense for SAP to develop or select a MEAP (mobile enterprise application platform) that best integrates and supports SAP's underlying architecture and product roadmap, however, their vertical industry partners would not like this strategy at all as they see mobility as a major growth area for them. Very interesting times indeed! Read SAP's Mobility Challenge, Part 2 here.